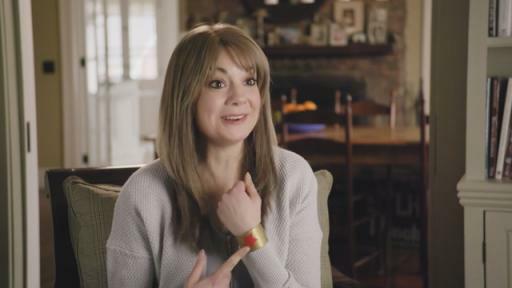 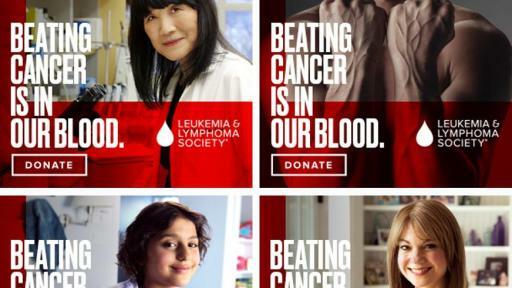 Rye Brook, N.Y. (May 7, 2018) – The Leukemia & Lymphoma Society (LLS), the largest nonprofit dedicated to fighting blood cancers, today unveiled a new brand platform showcasing its work in the fight to cure cancers. 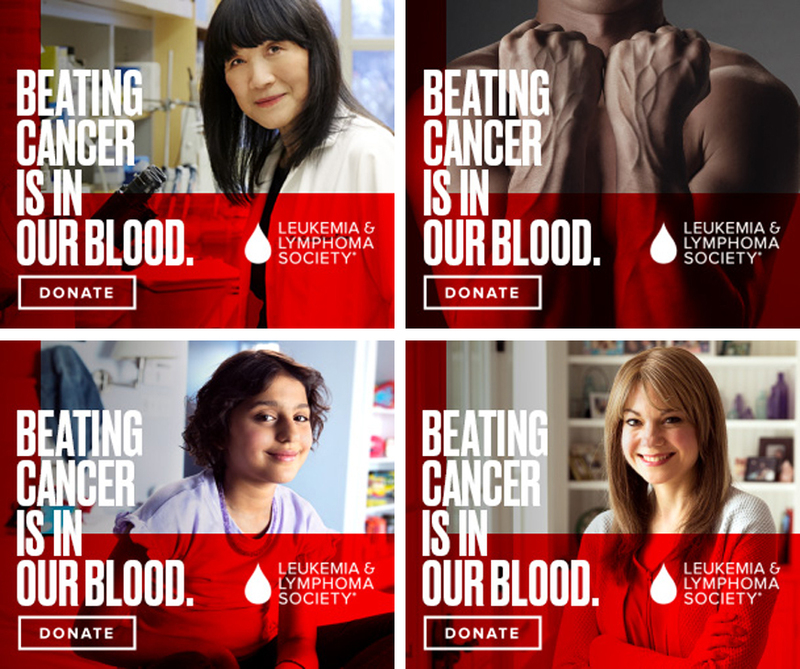 “Beating Cancer Is In Our Blood” highlights LLS’s resolve to end blood cancers, the third leading cause of cancer deaths in the U.S., and shows that breakthroughs in blood cancer research are now saving lives and being tested in clinical trials for other cancers and diseases, such as brain, breast, kidney, liver, lung, ovarian, pancreatic and prostate cancer, as well as arthritis and diabetes. 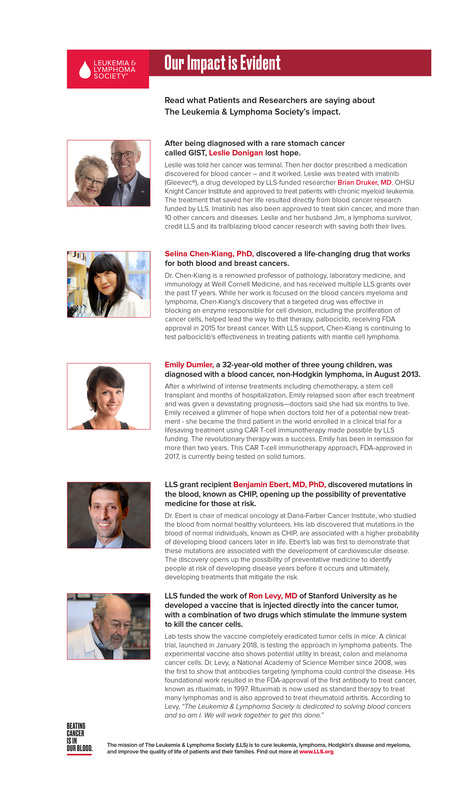 Lifesaving discoveries - beginning with chemotherapy and, today, including immunotherapies, genomics and precision medicine - emerged from researching blood cells, which are easier to access and study than cancer cells in solid tumors. 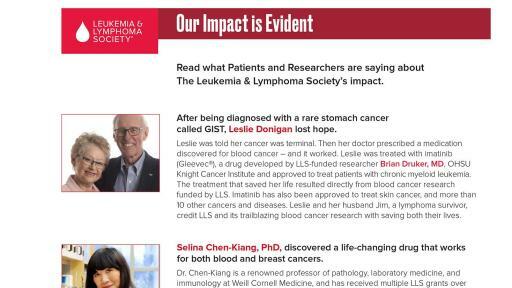 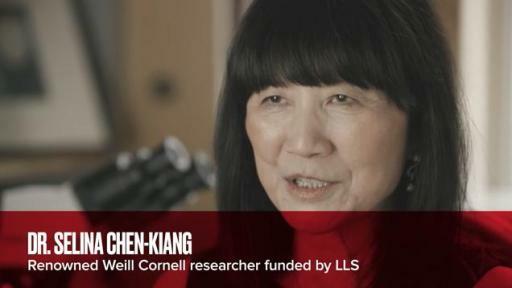 LLS has been at the forefront of many of these new innovations; in fact, while 10 percent of all cancers in the United States are blood cancers, approximately 40 percent of all cancer drugs approved by the FDA since 2000 were first approved to treat blood cancers, 60 percent of which of which were funded by LLS.